Today’s selection is a very recent acquisition that was so groovy that I had to usher it right to the front of the line. 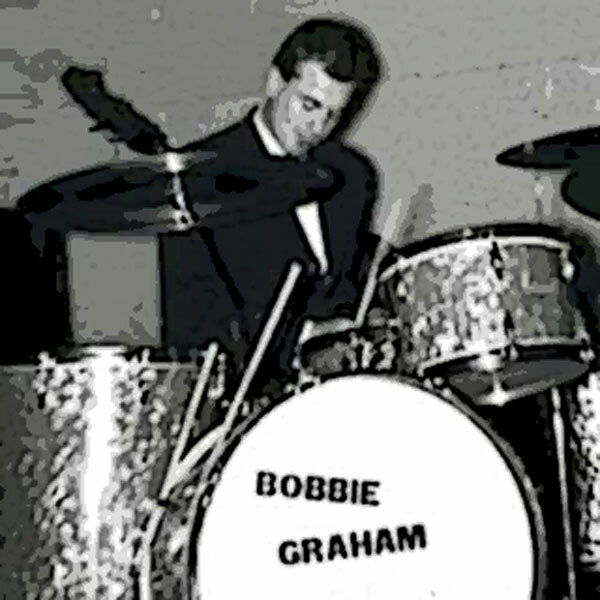 Bobbie (Bobby) Graham was the preeminent UK session drummer of the Beat era, almost climbing to Hal Blaine-like heights, playing on tons of Number One singles for a who’s who of the UK 60s scene, not the least of which was his work as the studio stand-in for Dave Clark on many of the DC5’s biggest records. Graham got his start in the Outlaws alongside Ritchie Blackmore, eventually working his way into the Joe Meek stable where he punished the skins on countless great records. He was to become part of the core UK session band, alongside Big Jim Sullivan, (Little) Jimmy Page and Vic Flick. He only recorded two 45s under his own name, the first of which was today’s selection, 1965’s ‘Zoom, Widge and Wag’. ‘Zoom, Widge and Wag’, co-written by Graham and Jimmy Page is a thundering instro, with (naturally) lots of drums, organ, and wailing guitar from the future Zeppelin commander. 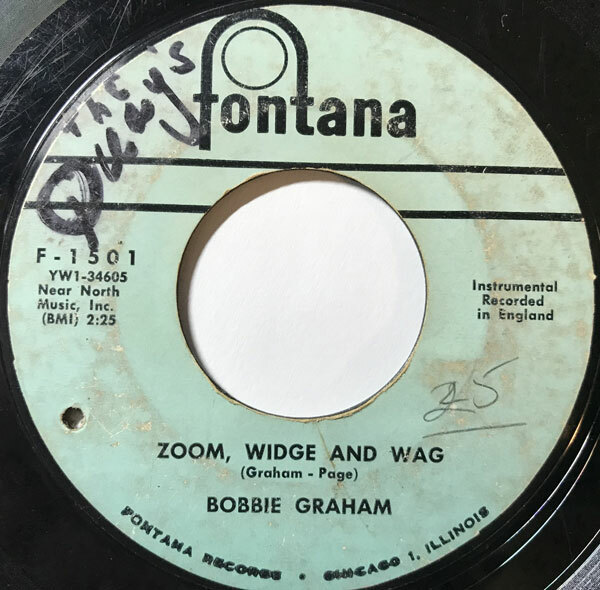 There is no producer credited on the 45 and despite Graham’s history with Meek I don’t see anything suggesting he was at the dials. The flip side (actually the A-side!) is a cover of American jazz drummer Louie Bellson’s ‘Skin Deep’, a much less inspiring effort. Today’s selection is one of the greatest “out of left field” records I’ve ever come across. Big thanks to my old buddy Keith Patterson who brought it to my attention a while back. 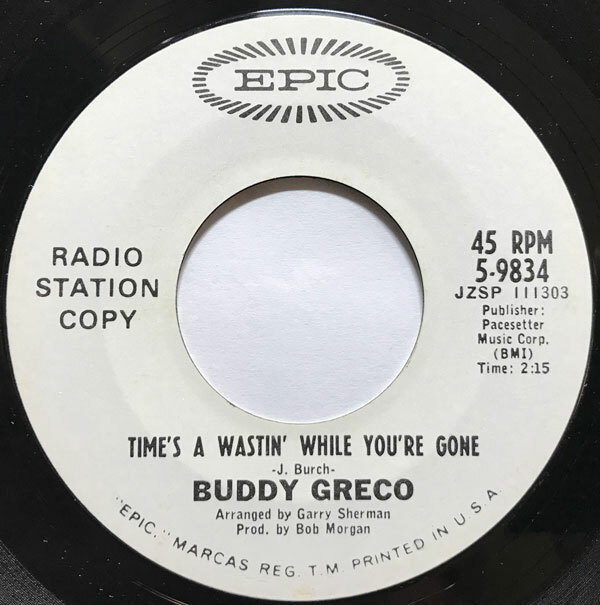 Buddy Greco, if you know the name at all, is best known as one of those swing-a-ding-ding, post-Sinatra crooners (and pianist) of the 50s, 60s and 70s. He was a mainstay in Vegas and everywhere else supper clubs thrived. 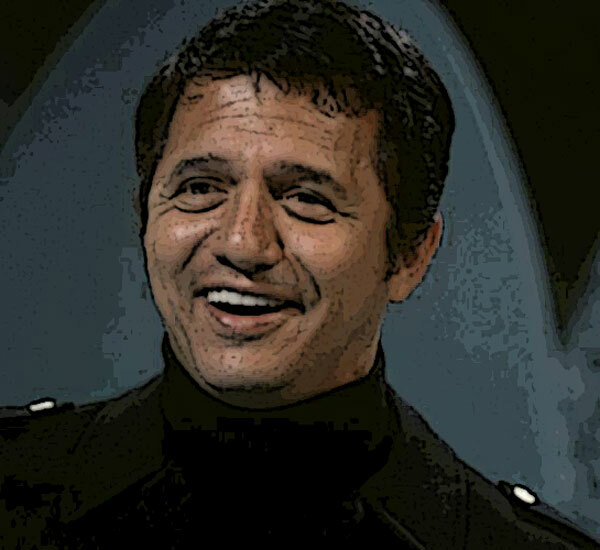 Posessed of a confident baritone and good looks, he made a string of albums that stretched out over almost 40 years. 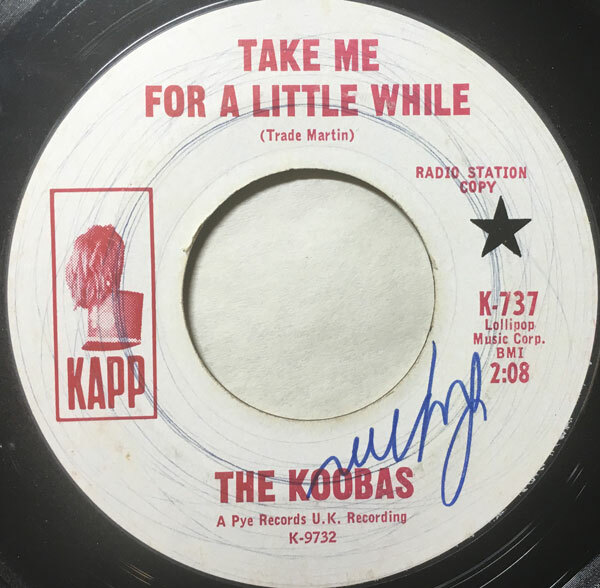 He recorded today’s selection, ‘Time’s a Wastin’ When Your Gone’ in 1965. How he got his hands on the tune, which was composed by English keyboard player John Burch (who wrote both ‘Preach and Teach’ and ‘In the Meantime’ for Georgie Fame, I cannot say, but it was indeed fortuitous that he did. The record is a stunning bit of hard-charging, beat adjacent sounds. The producer (Bob Morgan) and arranger (Garry Sherman) were both straight up the middle mainstreamers, and the fact that they made a record like this, especially for Greco, suggests to me a deliberate attempt at mold-breaking. Though I have no evidence in this direction, I wonder if Greco was recording over an existing, UK-based instrumental track. 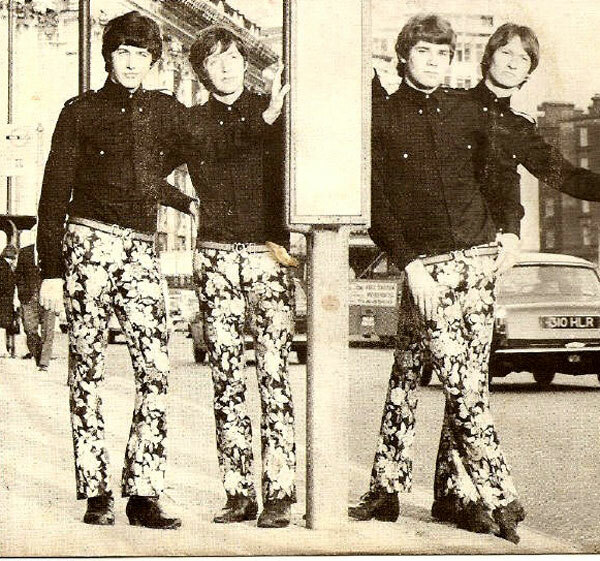 The drums and guitar are especially hard-hitting and the sound screams UK 1965. Haven’t been able to find any other recordings of the song, either in the US or the UK. That said, it’s a killer, and I hope you dig it. If anyone has any more detailed information about the record, please let me know.